Platelet Rich Plasma (PRP) is produced by separating blood fractions by centrifugation. PRP can be used as is, or it can be further separated into Super Concentrated Platelets (SCP), and Platelet Poor Plasma (PPP). PPP can be further processed to make Autologous Bio-gel Filler, a dermal filler custom-produced from patient’s own plasma. 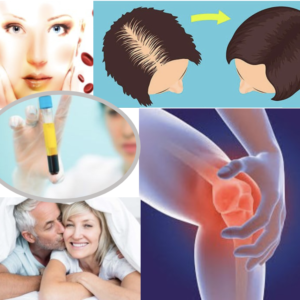 Of course, all the benefits of PRP come from the growth factors released by the activated platelets and not the plasma in which the platelets are suspended. So, why not just purify the platelets, re-suspend them in sterile physiological saline, and use them in pure, activated form? This is exactly what Super Concentrated Platelet Therapy (SCPT) refers to. SCPT uses pure platelets with no interference from other plasma components.